Credit details are required for booking online. In the event of a no show, the card will be charged at £20 per person. From a relaxed catch up with friends to an exceptional meal over a bottle of English sparkling wine; good food plays a central role in our work here at our 2 AA Rosette restaurant The Bow Room at Grays Court. With seasonal ingredients sourced from the highest quality suppliers, our innovative team of chefs guarantee a dining experience like no other. Exceptional dishes come together with the peaceful beauty of our historic building for an evening that will stay with you forever. Grays Court is open daily from 12pm until 10.30pm Sunday-Thursday and until 11.30pm Friday and Saturday. Our tasting menu is served at 7pm Sunday-Thursday. On Friday and Saturday evenings we offer sittings at 6.30pm or 8.30pm. We had a great evening - everything was wonderful. This is an amazing restaurant in an equally amazing hotel. You can tell it is a family run business, everyone is genuinely really helpful - nothing is too much trouble . We enjoyed ourselves and would definitely come back. Great value and service. The chef dealt admirably with one vegetarian who would only eat XYZ and another who would only eat ABC, and having paired wines with each dish was a treat worth having. We dined here as residents eating the 9 course blind tasting menu. You sit in the gallery for drinks where you eat 3 of the starters (which are referred to as snacks). The chef came out and spoke to us beforehand to discuss any allergies or tailoring the menu which I thought was good. Food was excellent, although I would always welcome a few more vegetables. Service excellent, attentive and lovely ambience in the Bow room. Also breakfast very good too. All in all I would highly recommend a stay at Greys Court if food is an important factor. Superb food, innovative dishes with great flavours. We were worried about 9 dishes but the pace of service and the size of the portions worked well. Fabulous meal in truly lovely surroundings. The staff are professional yet friendly and knowledgeable. Superb food and wine. We had a really relaxed afternoon, the service and food were brilliant! Will definitely return. Outstanding. Do it with the wine pairings. A real education without snobbery. And not too expensive for a huge meal. Amazing culinary experience, great stuff and fantastic location; perfect place for a romantic dinner. Unusual foods but always delicious. Our Afternoon Tea in the Bow Room was a delightful, and extremely tasty, experience. Staff could not have been more helpful and the food could not have been better. My wife tells me that the choux pastry, lemon and chantilly filled, was excellent. Sadly she ate them both so I will never know. Thank you very much. A definite repeat! We have been staying at Gray's Court for two nights, and had the five course tasting menu and pairing wines on one of the evenings. It was absolutely exceptional, one of the best meals we can ever remember having. The food was completely delicious, and although we got only small amounts of each course, we went away feeling absolutely full because it was all so flavoursome. The wines to complement each course were well chosen, and everything was explained to us by helpful, knowledgeable and charming staff. It was a thoroughly delightful evening, and made my husband's birthday very special. It couldn't have been nicer. Thank you so much for such a lovely evening. Absolutely superb! Delicious food, especially the home-cooked breads, beautifully presented and exceptional service (thank you Tom in particular.) As good as any Michelin starred restaurant we have been fortunate enough to eat in. Will definitely be returning! Flight of wines is very good. The food was incredible, but the service provided by all of the staff was equally incredible. Truly outstanding dining experience, service from Kris and Ben was attentive, informative and they worked wonderfully as a team, excellent service delivered with humour, passion and knowledge. We arrived as guests, dined beyond our expectations,  and felt we left friends behind at the end of the evening. Our sincere gratitude to chef and team. 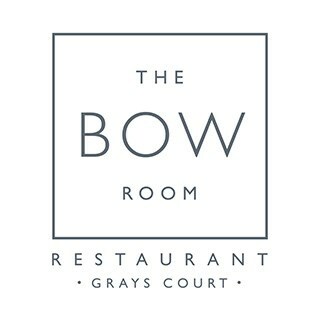 We had a really fantastic experience at the Bow Room. The staff were friendly, knowledgeable and passionate about the food being served and each course was a pure delight. We enjoyed the tasters before being taken in to the dining room which is beautiful and very comfortable. We absolutely loved our meal at the Bow Room. The staff made us feel so at home and welcome (we were staying at the hotel) and particularly Stefano, who provided us with such a unique and amazing wine pairing throughout the entire evening, left us utterly amazed. The food was unique and a real experience which was only enhanced by the intimate dining room and service. Thank you so much, we will definitely be returning! Superb tasting menu with excellent wine pairing. The dishes were a wonderful combination of flavours and were delicious, excellently presented by the knowledgeable and friendly staff. A memorable evening to complement our stay at Grays Court. A beautiful dining room. Food excellent and unusual combinations to make it a treat of a dining experience. The wine pairings were also interesting and very good. The service was knowledgable and courteous- which just added to the overall great experience- thank you.